At Victoria Community Care, person centered support is at the heart of the service we provide ensuring that individuals are provided with Independence, Privacy, Respect, Choice, Dignity and Confidentiality. 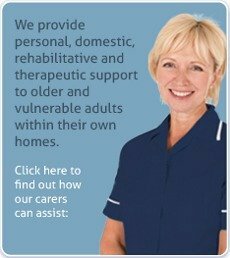 We provide a wide range of service which are tailored to respond to each individual’s needs from simple companionship through to personal, rehabilitative and therapeutic support for older and vulnerable adults within their own home. Our team is experienced, well trained, trustworthy and very proud of its excellent track record. From the moment you get in touch we can start to support you by arranging the help you need quickly and with minimum fuss. 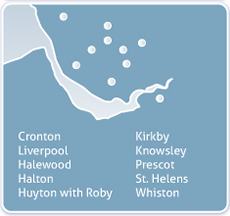 Victoria Community Care Limited, providing quality, personal care to older people, vulnerable adults, people with dementia, sensory impairment, physical disabilities, HIV/Aids, adults with mental health problems and learning difficulties, terminally ill and recovering from illness in the Cronton, Liverpool, Halewood, Huyton with Roby, Page Moss, Knowsley, Prescot, St Helens, Whiston, Rainhill, Belle Vale, Woolton, Netherley, Hunts Cross, Gateacre and Speke areas.